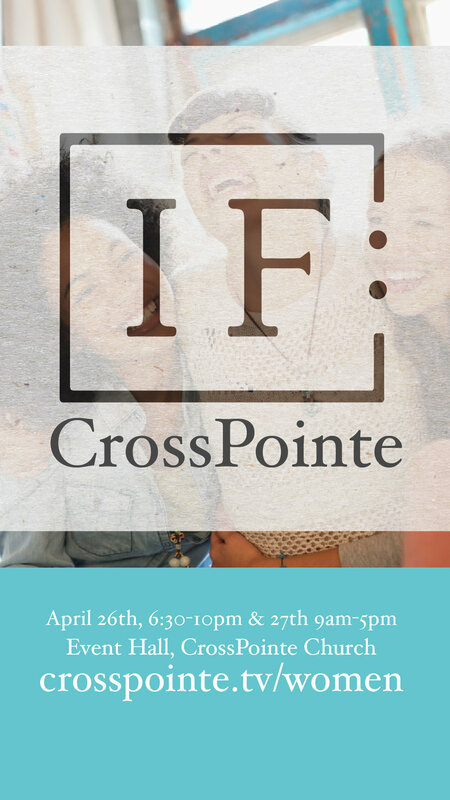 If:CrossPointe - April 26th (6:30 - 10pm) & April 27th (9am-5pm) in the Event Hall at CrossPointe. CrossPointe Women’s Ministry invites women ages high school to 120yrs old. Cost is $10. Childcare is provided upon request.